The countdown has begun for Amazing Spiderman 2 and Andrew Garfield has been doing his promotional tour. 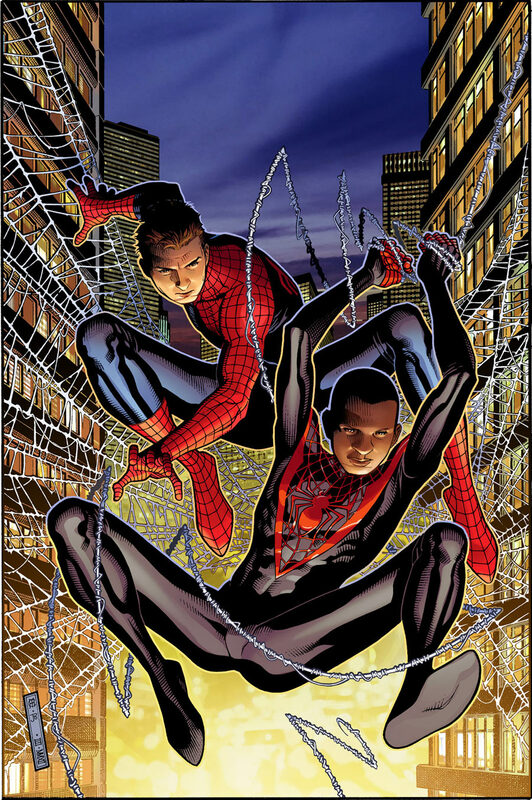 When interviewed by CBR Andrew suggested Miles Morales should take over the helm when the Amazing Spiderman 3 has concluded. A harmless opinion from the films star. First off , I love that Andrew is being so candid with his answers. He easily could have shrugged off whatever question was asked of him. Its to be expected these days. You have it written somewhere in your contract that you must keep certain things secret so that marketing can release nuggets of information as they see fit. Bravo to Andrew. Second we get the exectutives that waste no time. The producers Avi Arad and Matt Tolmach gave a logical explanation about why Miles Morales could never work on screen. Feel free to follow the link and read their explanation of which I will not quote. Because the whole time I’m reading all I can think is Blah, Blah, Blah we don’t want your black hero on screen. Do we really have to get into how unbalanced the whole superhero universe is? I personally feel that they stood to gain more by allowing people to just ask more questions about it. When the Ultimate Spiderman comic released it broke sales records . The meer mention of a black hero as Spiderman through the internet into a frenzy. So dangle it out there a little. Yes, when he wears his mask we don’t know what color he is, but there are plenty of kids that want to see a hero that represents their culture. So stop shooting down minority hero ideas before they even get rolling because if you make it they will come watch it.